Passengers 3 Seating: ? | Wheelchair: 0 | Capacity: ? Dimensions Length: ? | Width: ? | Height: ? 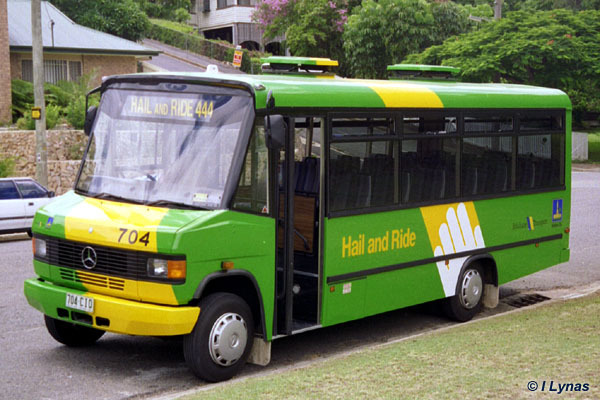 These buses were mainly used for the Hail 'n' Ride services at New Farm & West End. Originally numbered 704 when new. 3 The total seating capacity maybe less when wheel-chair passengers occupy the seating area of the bus.